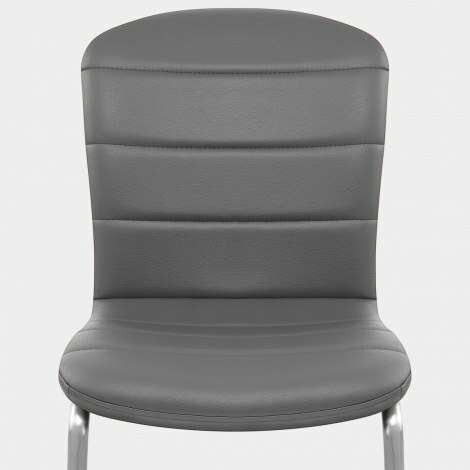 Perfect for use around a dining table or as an independent chair at a desk, the Mica Brushed Dining Chair Grey is a slick design that has the ability to boost the appearance of your room. Created with chic and contemporary style, the Mica is a cut above the rest. 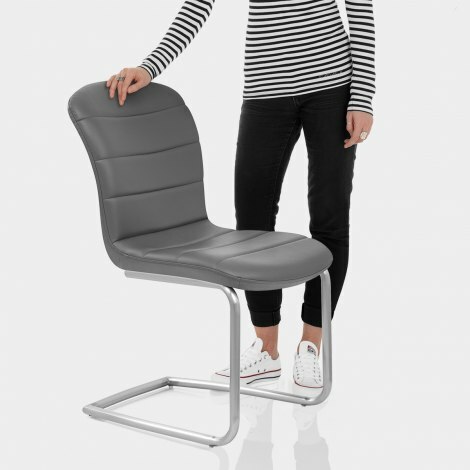 Ergonomically designed, the segmented padded seat smoothly curves to comfortably shape to the body, whilst the lavish grey faux leather upholstery exudes modern glamour that suitably compliments a variety of colour schemes. The unique cantilever frame has front legs that cascade backwards, emphasising the minimalism that the design radiates. Finished with luxurious brushed steel, the base features protective plugs to look after your floors, completing the Micas cool and contemporary attributes. "Very comfortable and a stylish addition to our kitchen"
We have just bought two of those chairs, to match the four we bought a few years ago. They are extremely comfortable to sit in for longer periods of time, don't take up a lot of floor space, and look very elegant. The service and delivery were excellent. I would thoroughly recommend. Decent quality chair we couldn't decide between white or grey chairs so we bought both. They're easy to assemble and look very modern. We like them as they're not high backed and fit under table easily on bother sides. Delivered next day with lots of updated messages so that we wouldn't miss delivery. All in all a rare pleasant experience. Two excellent chairs, well made and comfortable - and.... backed up with a speedy delivery service. Keep up the good work!! 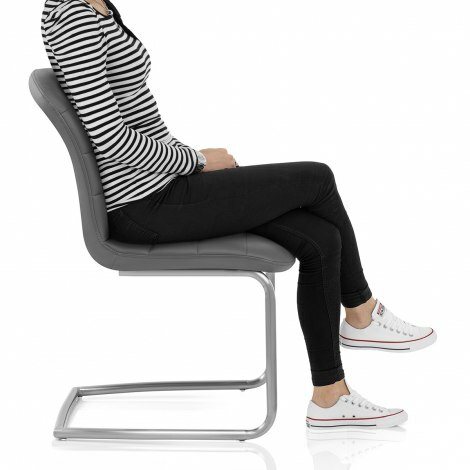 These chairs are stylish, elegant and compact. The seat is firm, yet comfortable. Easy to clean with a soft cloth and they take up minimum floor space. The chairs are sturdy, very comfortable and a stylish addition to our kitchen. So pleased with them, and wouldn't hesitate to recommend them and the company Atlantic Shopping.